Google is the world’s favourite search engine, Google indexes billions and millions of the web pages, so that users may hunt for the information they wish through the use of keywords and the operators. Getting most out of Google or performing well executed search is not known by many of us. Web searches have become very significant part of our daily life, for our academics. We can Google anything and it will offer you with your desired result with in a second. The art of the Google search is an increasingly lost one. One of the study conducted at Illinois Wesleyan University found that fewer than 25% of the students may carry out a "reasonably well-executed search. The majority of the students of all the levels exhibited important difficulties which ranged across nearly every aspect of search process. These tricks will optimize your search and save your time. We used to read different contents online in the form of news articles, blog posts, e-books, tutorials and so on. Sometimes we get stuck in the middle as some word seems alien to us, in this case, we would either find in the pre-installed dictionary software or Google it by randomly selecting a website from the search results. In order to obtain precise and exact definition USE WORD “DEFINE” in front of anything you wish to get the definition of and then Google will let you know the definition and origin of the word and synonyms. Quotes are really useful if you are looking for something specific on your search results. Consider the scenario where you remember title of an article very well; however you vaguely memorize the name of the website. Utilizing the quotation marks within your search would be really helpful in such cases. 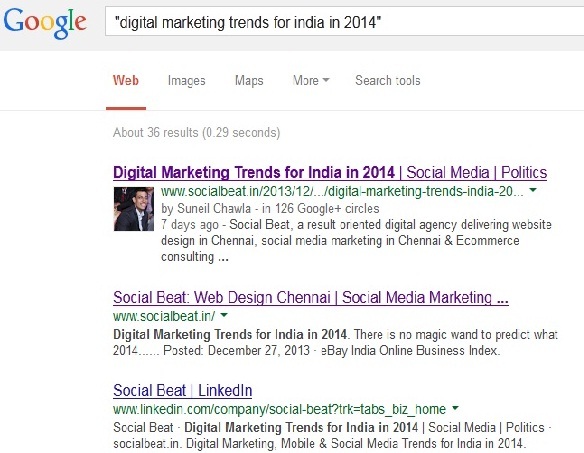 Check out the below given example where search for the Digital Marketing Trends for India in 2014 without the quotation marks results in the lot of websites suggestions that have many words arranged in any of the manner. Now when you will involve the quotation marks for same sentence, you will obtain totally different results, the results you wished for. So, in case you are looking for the specific phrase and you wish only those websites that have the same phrase in exact order, utilize the quotes in order to refine your search results. Suppose we are interested in receiving the particular file such as pdf or doc file to get the information regarding any topic in large amount in one go. For instance, you want to search for concepts of computer networking and you will type the phrase in plane manner then you will observe lot many websites carrying information in pieces. Instead of this, make use of the following syntax to zero in particular file type you are looking for to read about topic in-depth. You may search for particular file types by adding 3-letter abbreviation of file type. For example: PDF, PPT, XLS, DOC. Google search is not at all case-sensitive. If you search for the either New Delhi or new delhi, your results will be same. Thus, you can search without being conscious about the case-sensitive words in the Google search. Moreover overlooks the punctuation marks too. You may ignore it as well and save your time. This technique seems to be useful for all the digital marketers who are researching for the competitors in the particular space. It helps to determine the websites that have identical content. For example, if you are shopping on the Flipkart and wish to determine similar e-commerce websites, this tip will help you. Utilizing the syntax related: followed by website address will provide you websites similar to that in the search results. 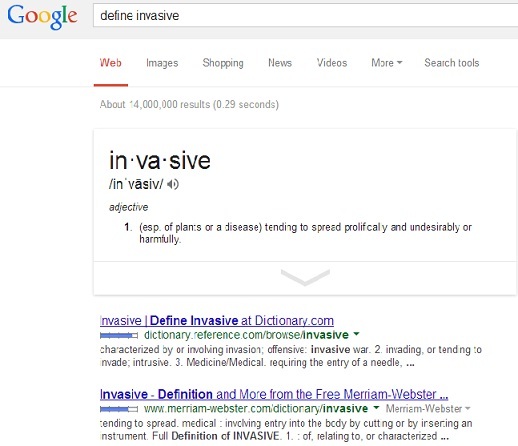 This trick will help you to involve or exclude the specific word in the search results. For instance, if you obtain the baking recipes with alovera as an ingredient, you required to highlight the word alovera by utilizing the quotation marks in the search. To involve alovera in your baking recipes, syntax must be baking recipes “alovera” and in case you are looking for baking recipes without alovera, the syntax must be baking recipes –alovera. Have you ever struggled to determine something specific within the website? This syntax could be your solution. For instance, if you wish to read the editorials on The Hindu website and you find that the search box in website is not working. You can use the syntax “site:website” in order to search within the particular website.